Yearly costs of Domain Name, Registration and Hosting are not included in the cost of Website Design and Development. Cost per year for each Domain Name is $15.00; Hosting costs per month are $10.00, (yearly subscription is required for this option).  If you are unsatisfied with your current Hosting program, @Large can transfer registration and Hosting services for a one-time, Complete Web Conversion fee of $125.00 – $300.00 depending on complexity.